Little Mrs. Married: Blog Hop - Favorite Book! This week's blog hop theme is "what is your favorite book & why?" I love this topic, because i LOVE to read. I am on a huge reading kick that doesn't look like it will quit anytime soon. =) It is very hard to pick a favorite. 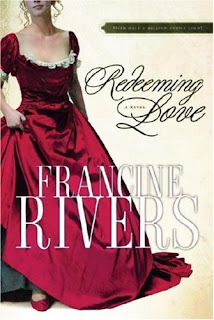 My very favorite book is Redeeming Love, by Francine Rivers, but that is not the book i'm going to talk about here. Just about everyone has Redeeming Love on their favorites list & if they don't, it's probably because they haven't read it! If you are reading this & you haven't read Redeeming Love, you simply HAVE TO!! However, the book i want to list as my favorite is The Last Sin Eater, also by Francine Rivers. For some reason, this one seems to get overlooked. Maybe because Redeeming Love is so awesome or maybe because The Last Sin Eater is kind of a wierd title! But i read it & i promise you, it is AN AMAZING BOOK! Redeeming Love & The Last Sin Eater are both equally my favorite book! From Amazon: Ten-year-old Cadi's grief over her beloved grandmother, the only person who seemed to love her unconditionally, is compounded by a previous family tragedy for which she believes her family blames her. While at her grandmother's grave, Cadi sees the "sin eater," a human who absolves the residents of the tiny Smoky Mountain community of their sins. 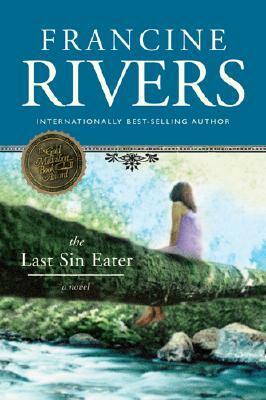 Somehow Cadi, touchingly portrayed by Rivers, comes to realize that the sin eater is false and learns of Jesus, and her conversion to Christianity leads to a reconciliation with her family. This book will make you cry. But it is so worth it. It is an amazing story of God's love & forgiveness. Other favorite authors of mine (because i am mostly a sucker for chick lit, though i can't say those books are my FAVORITE) are: Marian Keyes, Emily Giffin, Sophie Kinsella, & Nicole Baart. I love Sophie Kinsella as well! 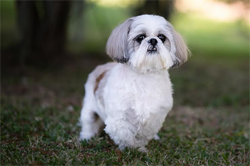 The Shopaholic series are a great easy and funny read! Happy hopping! She sounds like a great author to read through! This is a good choice of books. Take care. So, here is mine. When I was a little girl my father would sit on the couch with me in his lap and read two books to me, one was Where the Wild Things Are. Between these two books I learned how to read and how to face life. Between these pages and my dad's voice is my childhood. The other book that was read to me and brings back memories is The Frog and the Toad. This book also keeps my mind and memories alive.